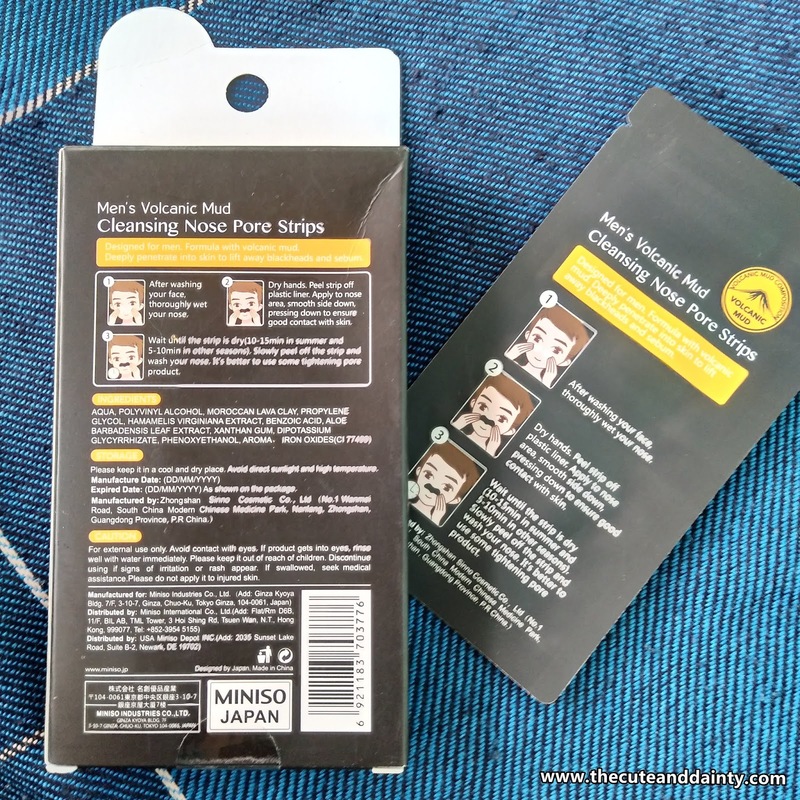 Here's another product discovery I got from Miniso. Though this time, I am trying out a man product and I love it for it work just as great as women's. 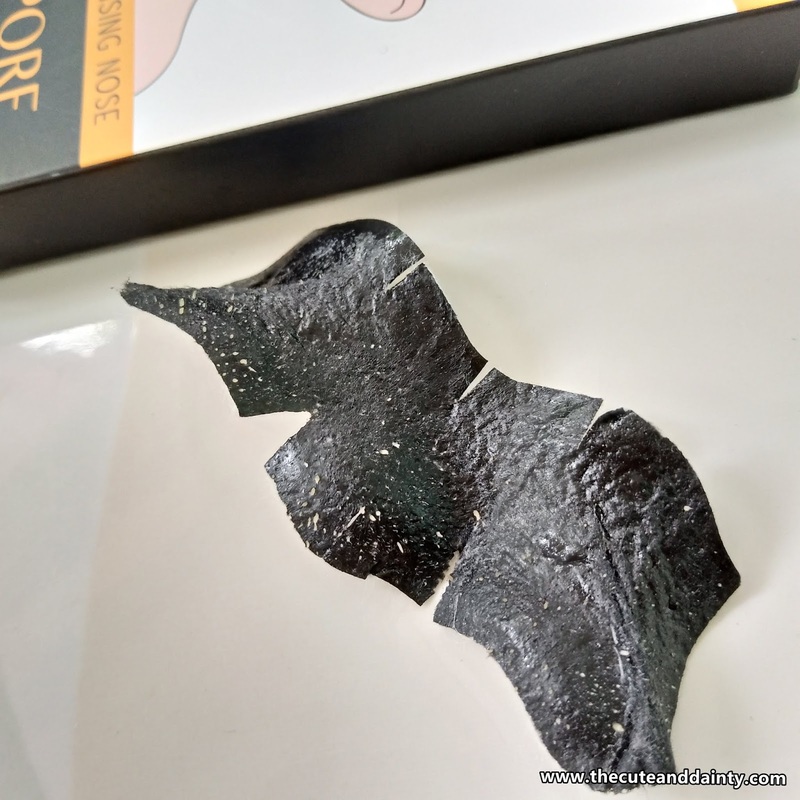 I found this Men Volcanic Mud Pore Strips and thought to try it. 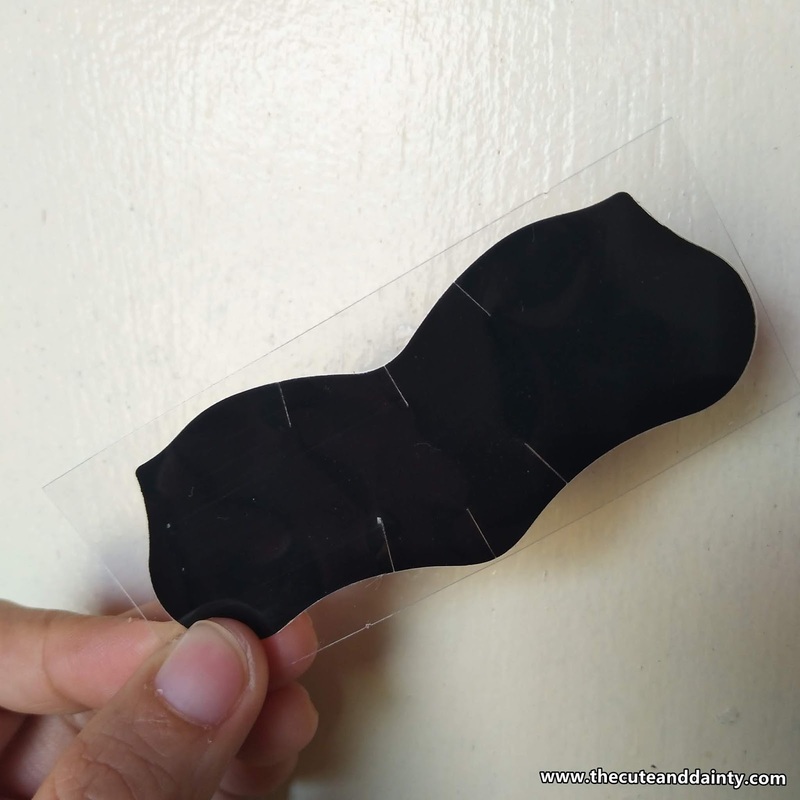 Each nose strip was carefully packed in a single sheet making it hygienic. 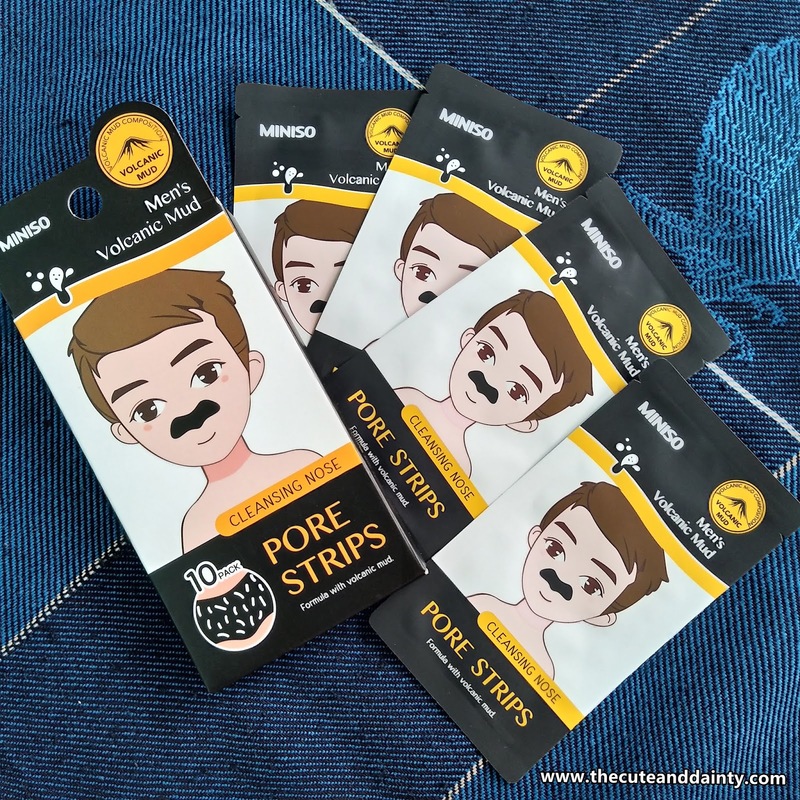 If you have been a reader of my blog, you know that I already have a LOT of nose strips review and I have tons of favorite for they are effective and affordable. The whole box has 10 contents and it retails for P149.00. So ir retails around P15 each sheet. 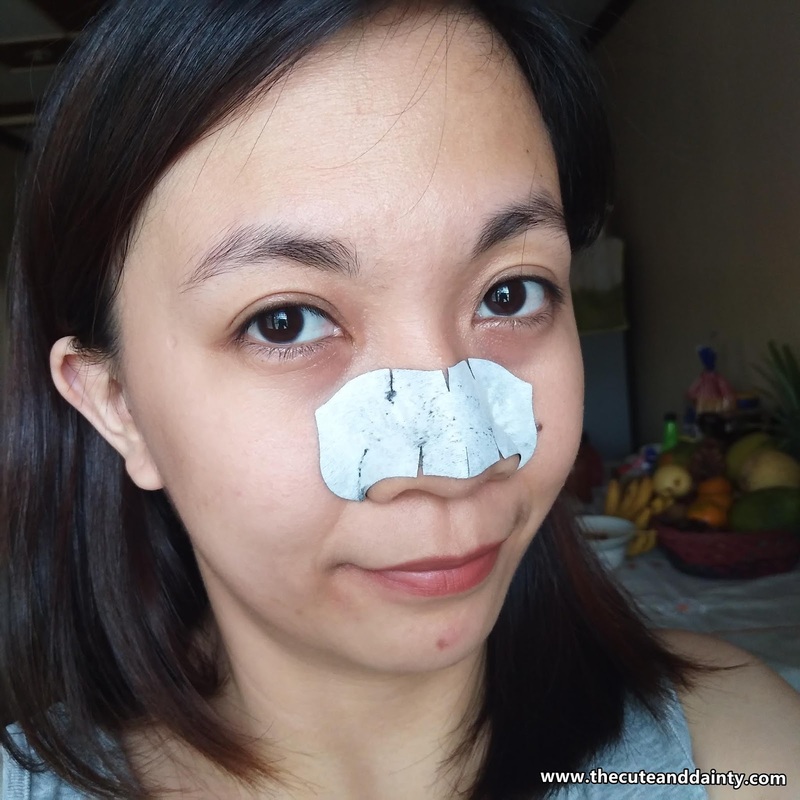 Not bad for it works really great in removing blackheads, whiteheads and even excess sebum. I like it for it adheres really tight and it isn't painful upon removal. 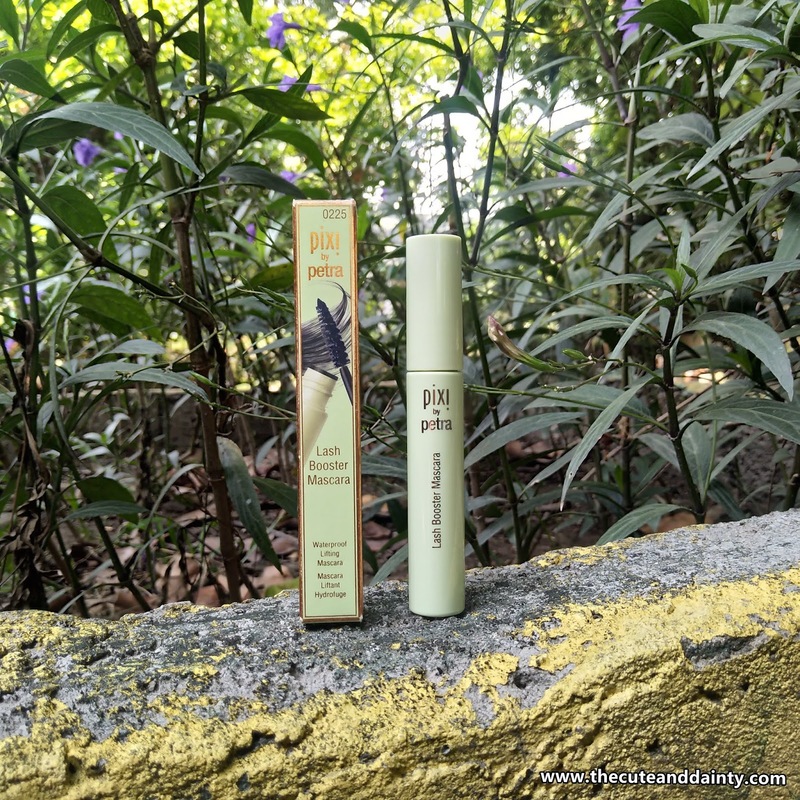 I used mine and waited for around 15-20 minutes as I felt that the products really hugged my skin tight. A lot of whiteheads were obviously removed and some almost invisible blackheads. Removes a pretty good amount of blackheads and whiteheads. 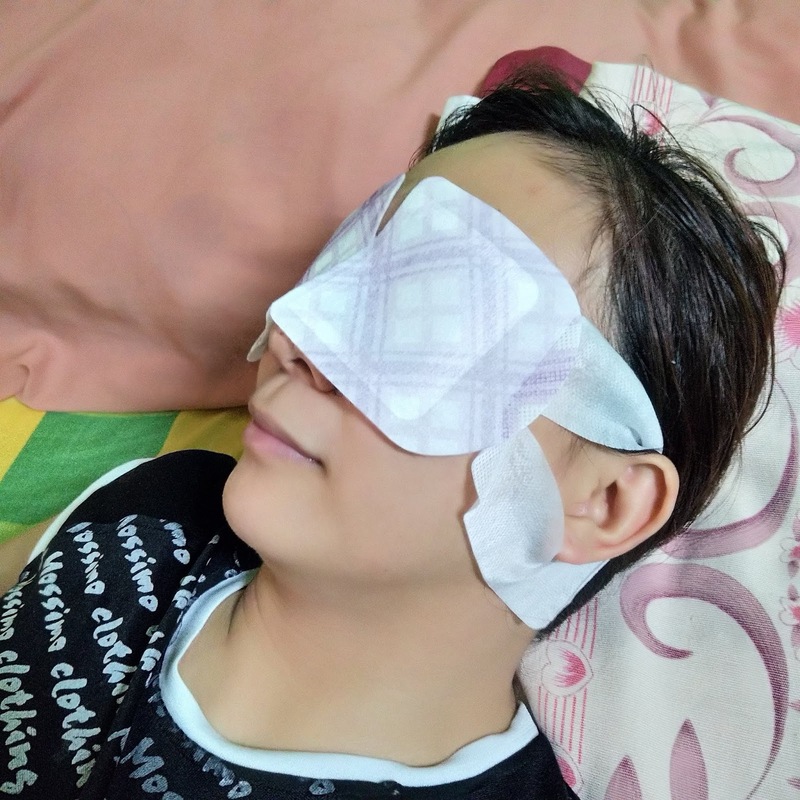 To be honest, I now seldom use nose strips because I feel that my skin is doing well but by testing another nose strip made me think that I still need to use this. 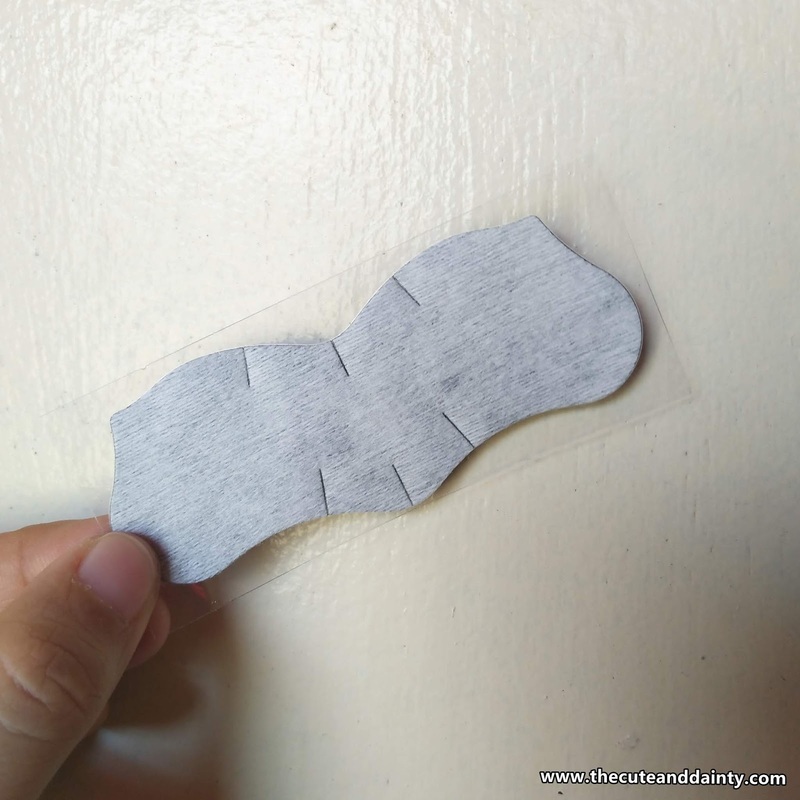 Even if my skin looks great from the outside, there were still existent, almost invisible whiteheads and this nose strip really sucked it all out. This is too great to miss out! 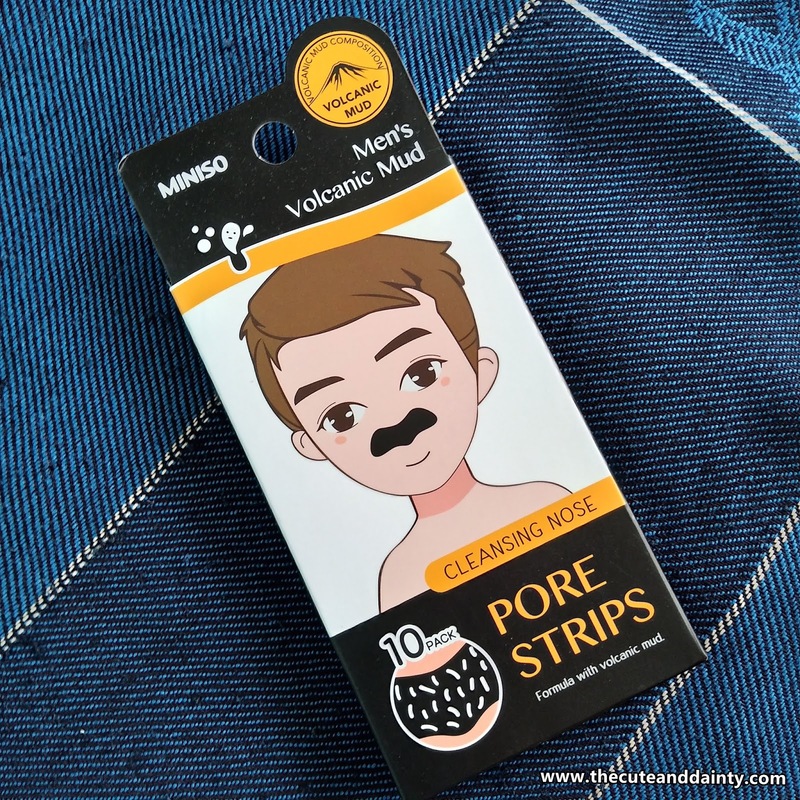 You, what nose strip have you tried and loved? Share it here! 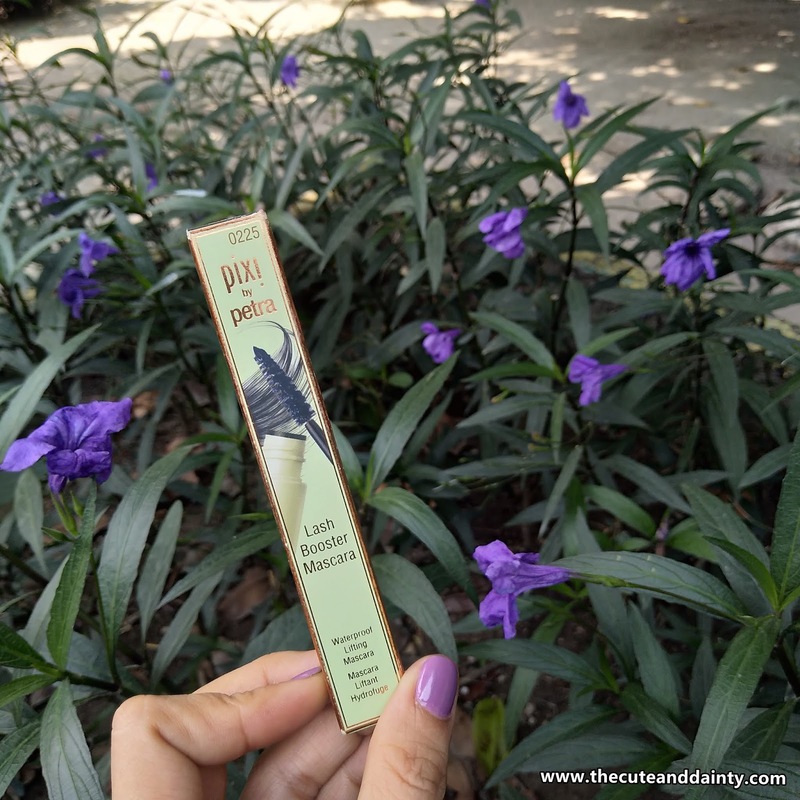 Another great product I got from the Glamourbox before is the Pixi Book of Beauty Mineral Makeup. 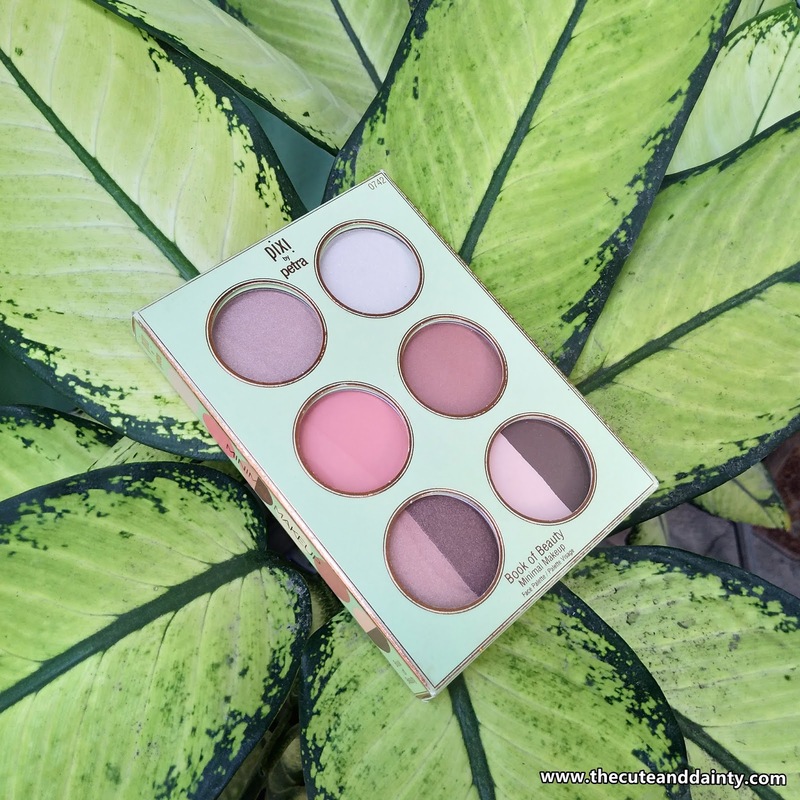 This set of palette was very natural and I bring this in school with me. 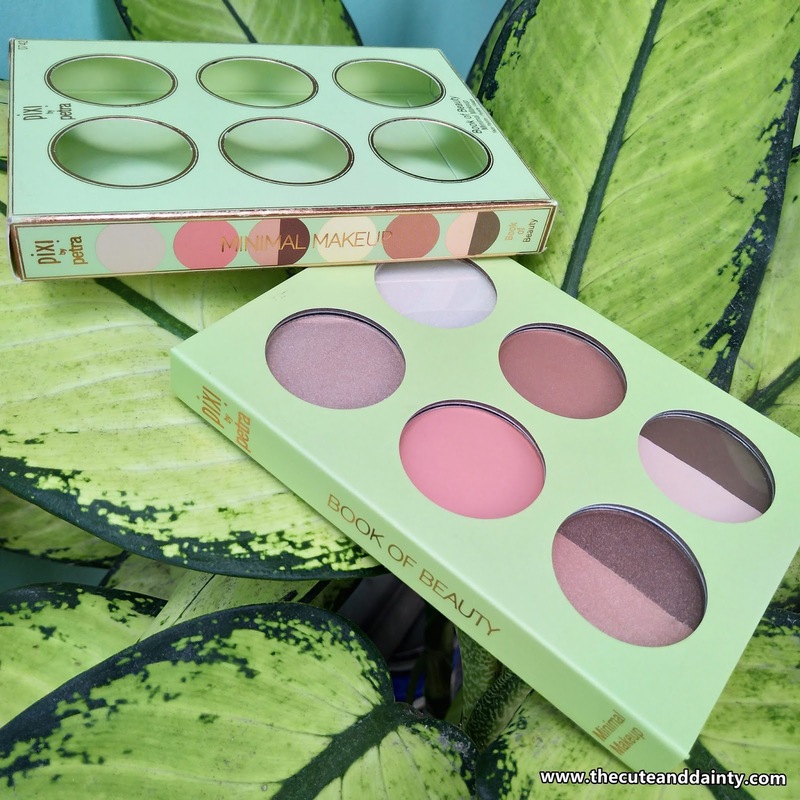 Inside the mini-book comes different products that works as a blush, eyeshadow, highlighter among others. 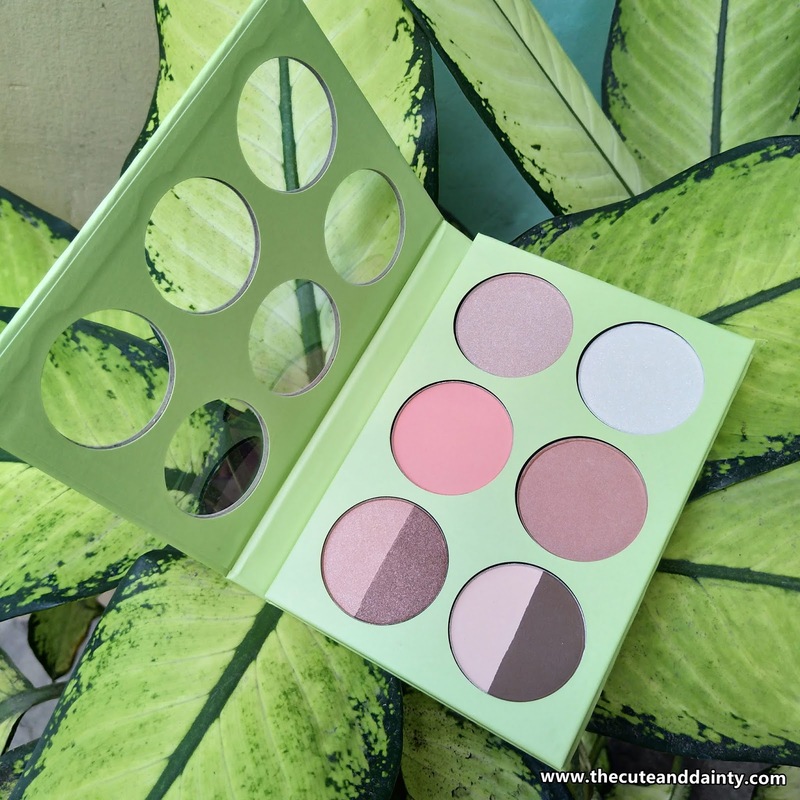 What's great with this palette is that it really looks so natural and great to use for everyday makeup. 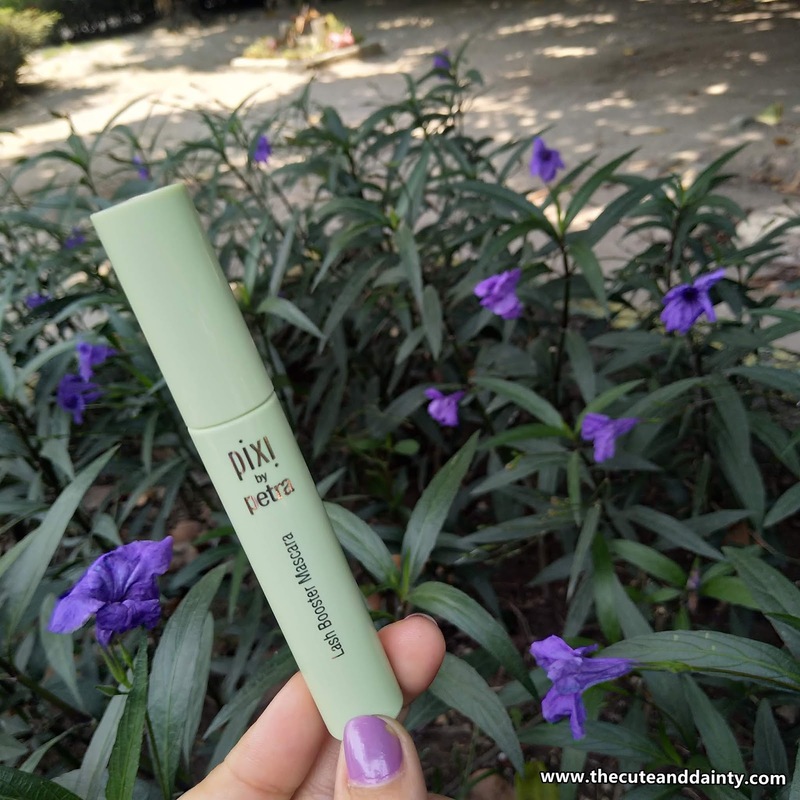 I am currently obsessed with it right now that I only bring this and an additional lippie and I'm all set. It's in a really cute, mini type of book that you can flip to open and 6 palettes will be shown inside. There are different makeup like blush, eyeshadow, and highlight. 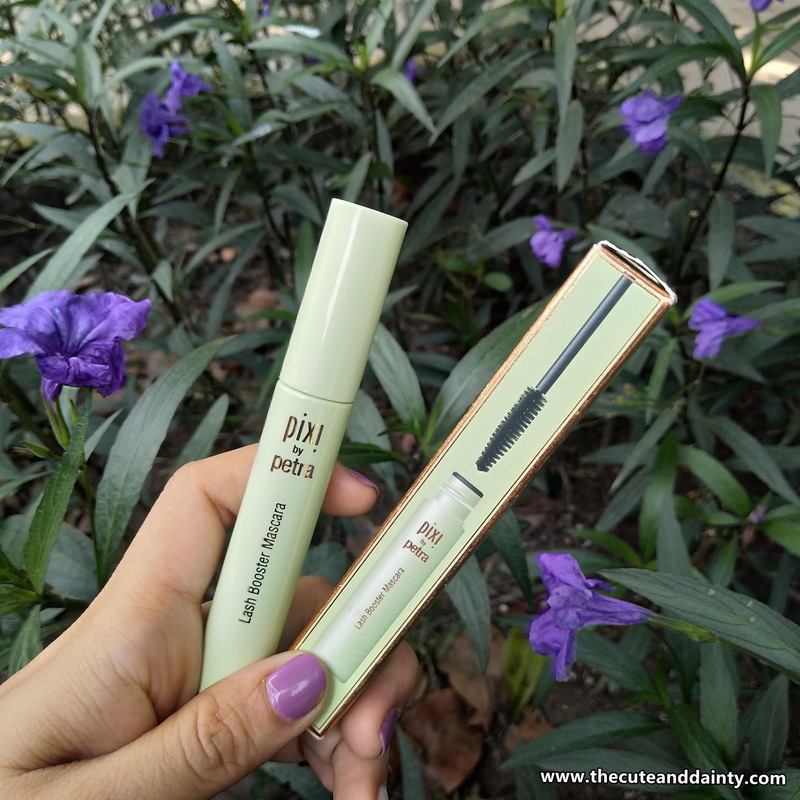 If priced individually, it would retail for P1,290 but since I bought it in a curated box, I paid for the set of 5-6 products for P1,290. It's like I paid for this product but already got 5 items. 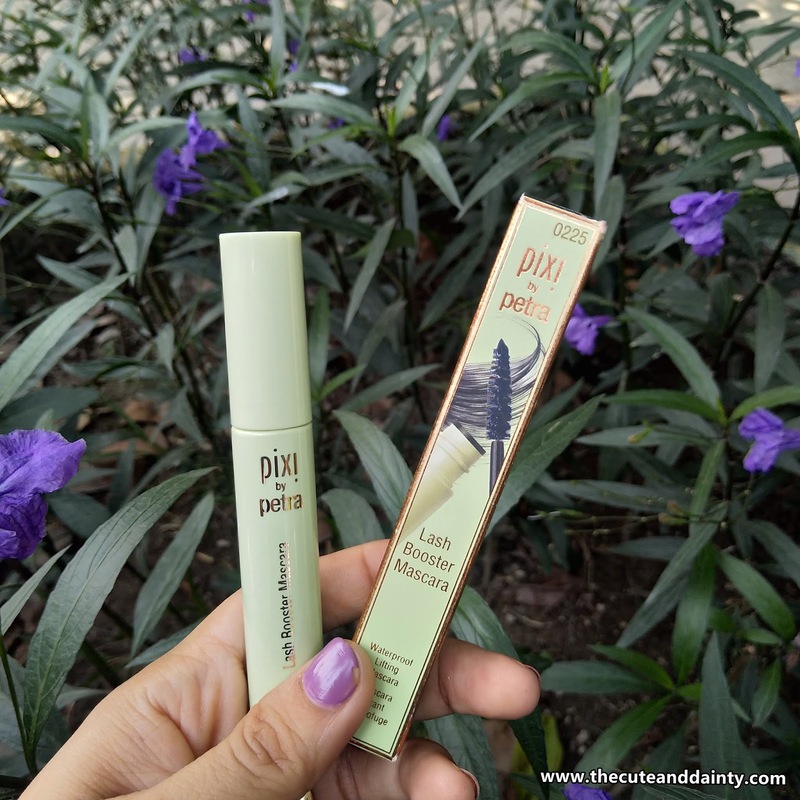 I am sharing to you my unboxing of my Glamourbox Pixi by Petra here. 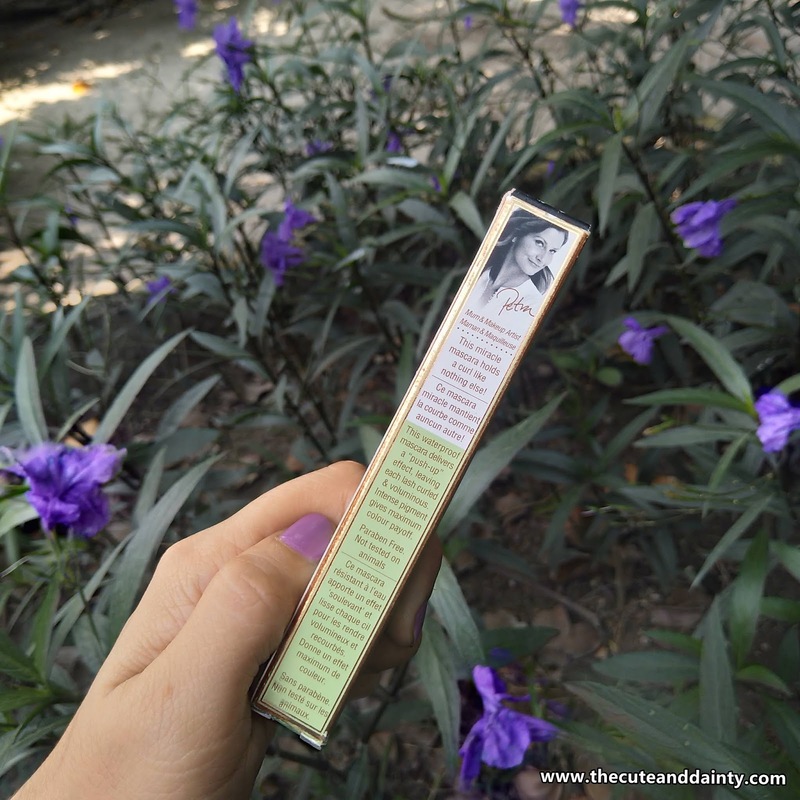 For me, the box was great because it is perfect for a natural makeup look. This is something that I can use everyday and would feel great about it. However, the shades weren't as pigmented as they are. Maybe because they are natural and very light. But quality wise, it was great. The colors were great too! Got it for a cheaper price because it's inside a curated box. 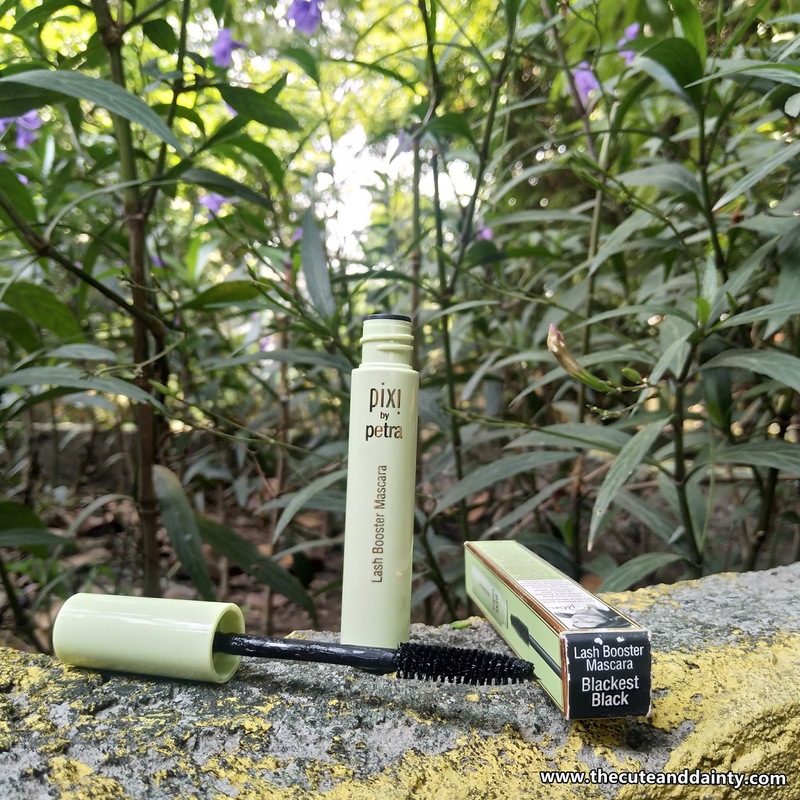 Perfect for the natural look. Easy to bring and convenient because it has different products inside. Comes in a really cute book-like case. The highlighter isn't as sparkly as I want it to be. Quite pricey for the individual price. 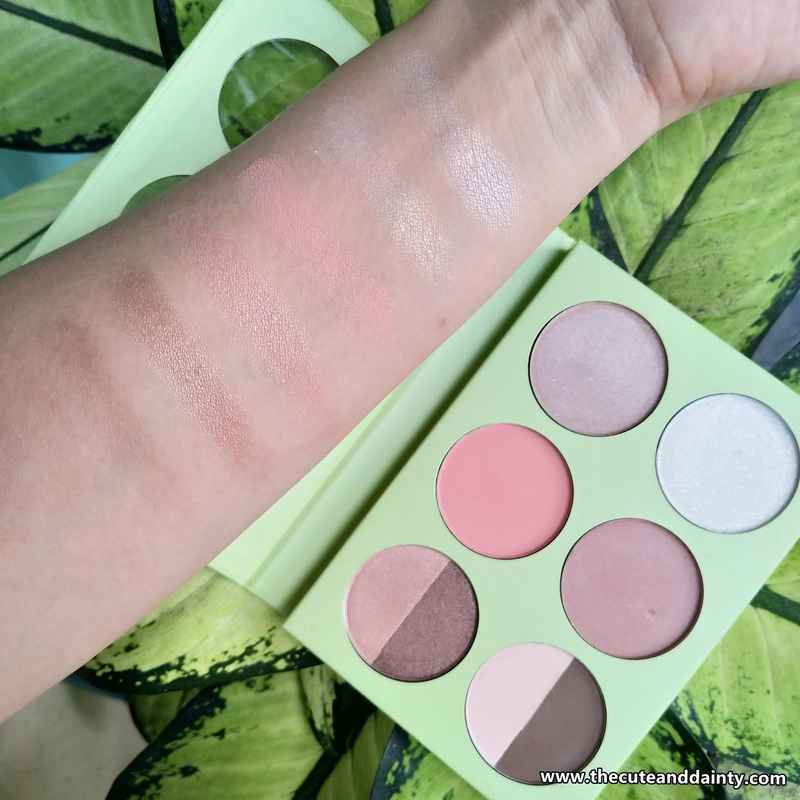 For me, I love it even if the pigmentation isn't as strong as you imagine it to be. I am more particular that I can use it daily and that's great. Now I have to create more look with the combine colors of the palette. Have you tried the same product? What are your thought? Men will always be men as far as social life is concerned. When it comes to dating matters, they want to go for the stunningly beautiful women. After all, they want to show off to the whole world that they can have any woman of their choice. On the contrary, they will rarely go for this woman when they want to tie the knot. Most extremely beautiful ladies are still single and looking for a match. In particular, those who still want the attention of the whole world will find it difficult to settle down. However, with reputable relationship websites, they can get closer to their desires. You can see here for more information. If you are still wondering why drop-dead beautiful ladies are still single, then let me explain. Some research shows that men will not dare go for these ladies as wives. They would rather keep them as a mistress, period. Many of them are not ideally suited to playing the traditional role of a wife. Surprisingly, this attribute cuts across almost all of them especially if they are attention seekers. A survey that interviewed men across the world found that stunningly beautiful women have a high maintenance cost, which is difficult to afford over a long period of time. They will probably seek other men to provide for this high-end lifestyle. Most of them ask for out-of-town weekends away, which men do not want to commit to at all times. Some men find it better to pick and date this type of woman when they are in the mood and position to spend. Another factor that affects these ladies is that they are often not the best parents if they are overly focused on themselves. They will focus so much on their beauty and forget the parenting role, which is a responsibility of both parents. According to men, they think that such ladies will make poor mothers because of lack of attention to kids. When it reaches a time that men want to marry, most will go for the inner beauty, or so they say. It is what would make them happy for the rest of their lives. They would rather not have the beautiful ladies who have been struggling to make a decision on who to take or leave. They believe that their ego is already elevated, a thing which does not make them the best spouse. The humble ladies who every other man ignores is what most men would rather go for. According to men, such ladies never lose focus in life and are development-minded. They also make great parents to the kids and teach them humility. According to research, most mistresses tend to be more beautiful than wives. They spend much of their time in beauty spas and applying make-up. Further, most men would struggle to entertain them sexually. All these factors lead to these women remaining single and to men going for their less beautiful counterparts for wives. 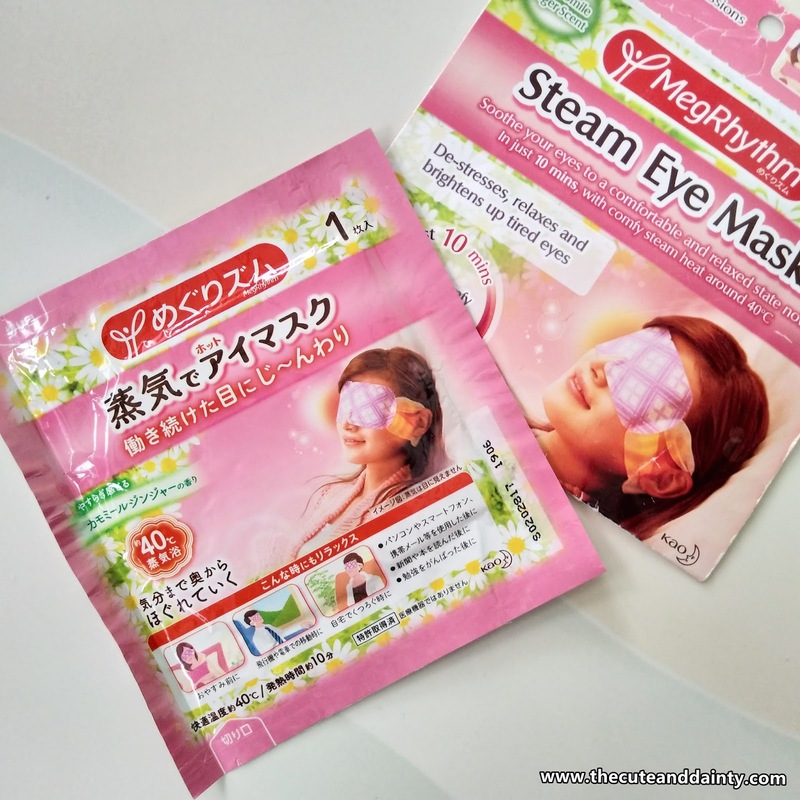 I recently discovered this eye mask on IG and I thought that I need to try it because I ALWAYS have tired eyes. I am the type who loves sleeping but sleep doesn’t love me. I normally go to bed at 12 am or 1 am after putting baby to sleep and finishing all the household chores. Sometimes, even late. Then I would wake up at 5:30 or at most 6 am before going to work. I always feel that my eyes are dry, tired and giving up. 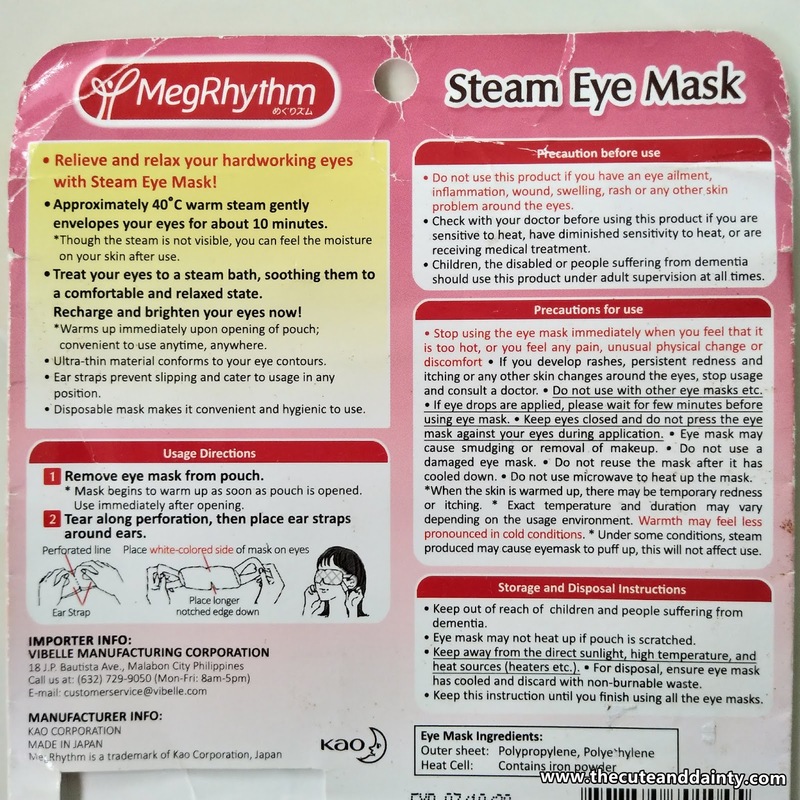 So upon knowing Meg’s Rhythm Steam Eye Mask, I immediately look for it at Watsons. My first try was a fail and I thought of just ordering it online but when I tried searching for it at again, they already have stock so I immediately purchased two. I bought this Chamomile Ginger scent and the Lavender Sage variant. Here are my thoughts on my newfound product. 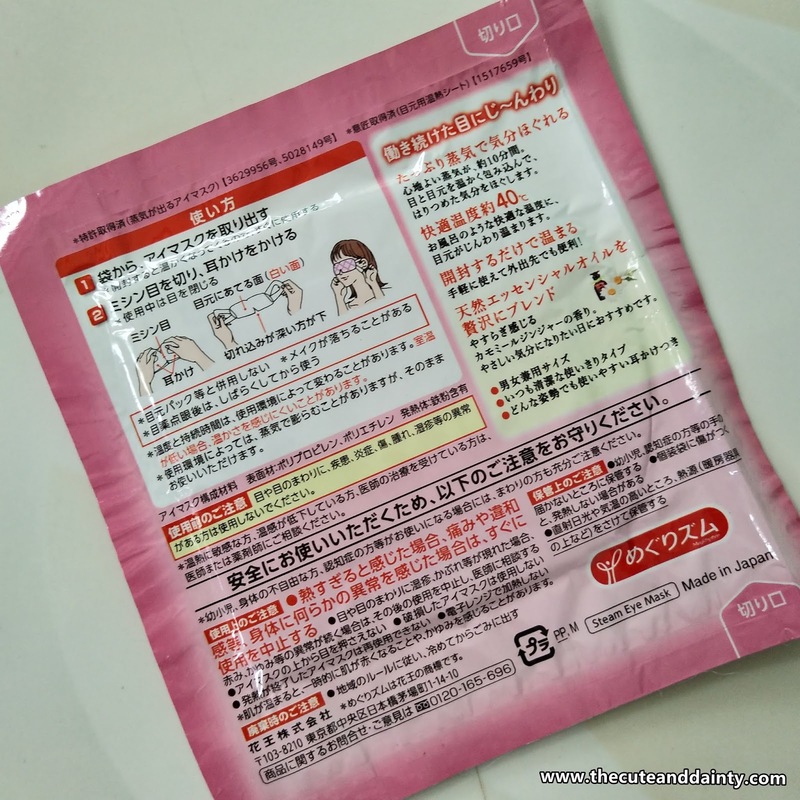 It is in a carton pack and inside it, the mask itself is inside a plastic sheet. It really should be in a plastic container because it needs to seal the warmness of the mask inside. Each variant differs in color; green for chamomile, lavender for lavender scent and there’s another one which I forgot. The mask has ear straps which makes it easier to wear. It retails at P74.00 but I saw Watsons selling it also in a box of 5. I think it is priced around 300. I actually thought at first that they’re selling it in boxes alone but upon asking the staff, they retail it. 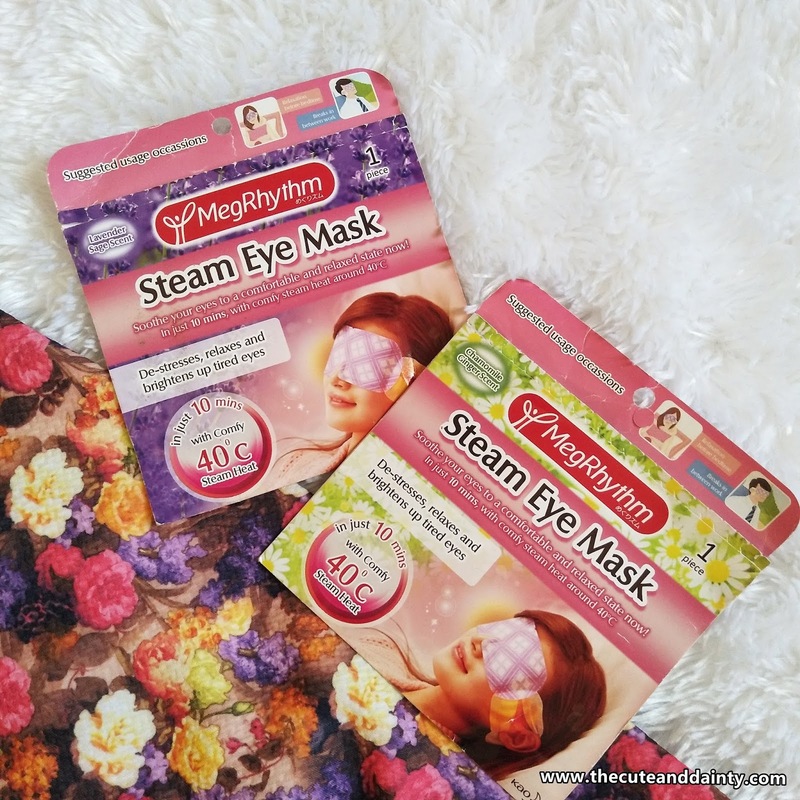 At first, I was excited to try it because I think it will help to ease the tiredness of my eyes. As I used it, I was waiting for it to get warmer and warmer but it didn’t happen to the extent that I like. Yes, it was warm upon usage but I didn’t really feel that it relaxes my eyes the way I want it. I think I was more relaxed with the scent. 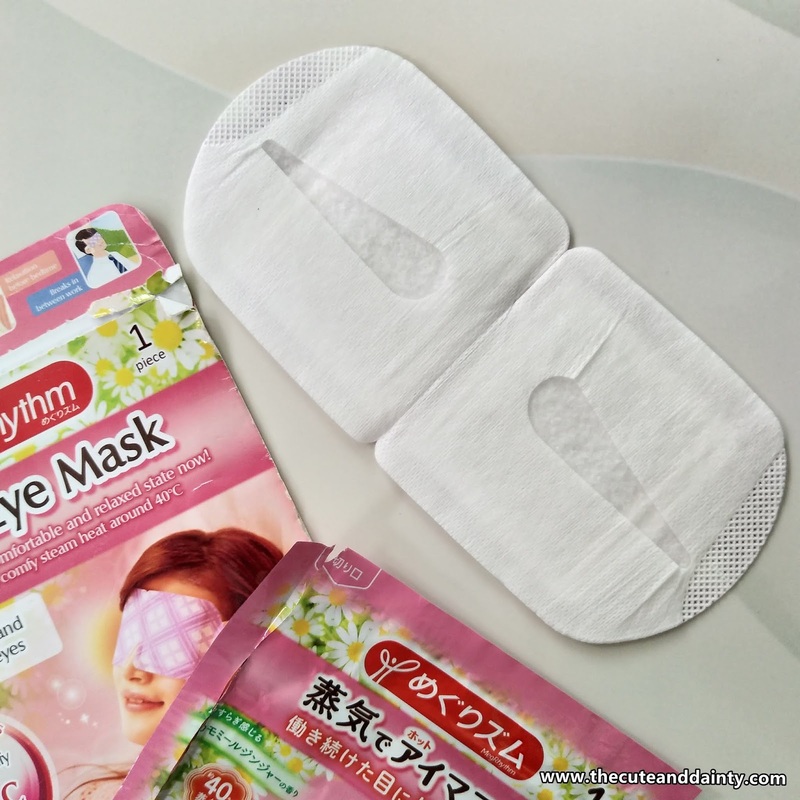 I like the scent and the concept that it can relieve tiredness in the eyes. Can be bought in boxes or individual packs. The ear straps makes wearing easier.. It didn’t had so much effect on me. I still felt the tiredness in my eyes. Overall, I am not repurchasing. I tried the lavender one too and got the same result. The warm effect didn't do much on my eyes. I actually felt sad that it didn't made an impact on me. 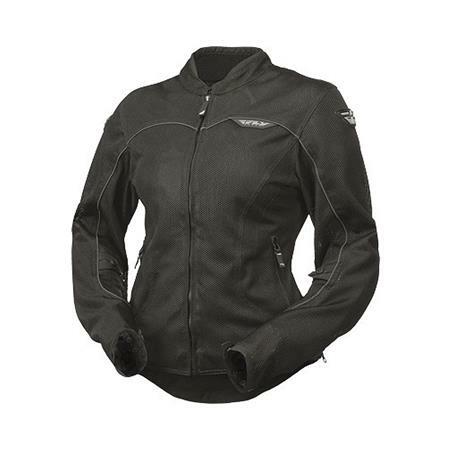 Maybe I am just looking for more warmness. I guess I'll stick to those cooling mask instead. 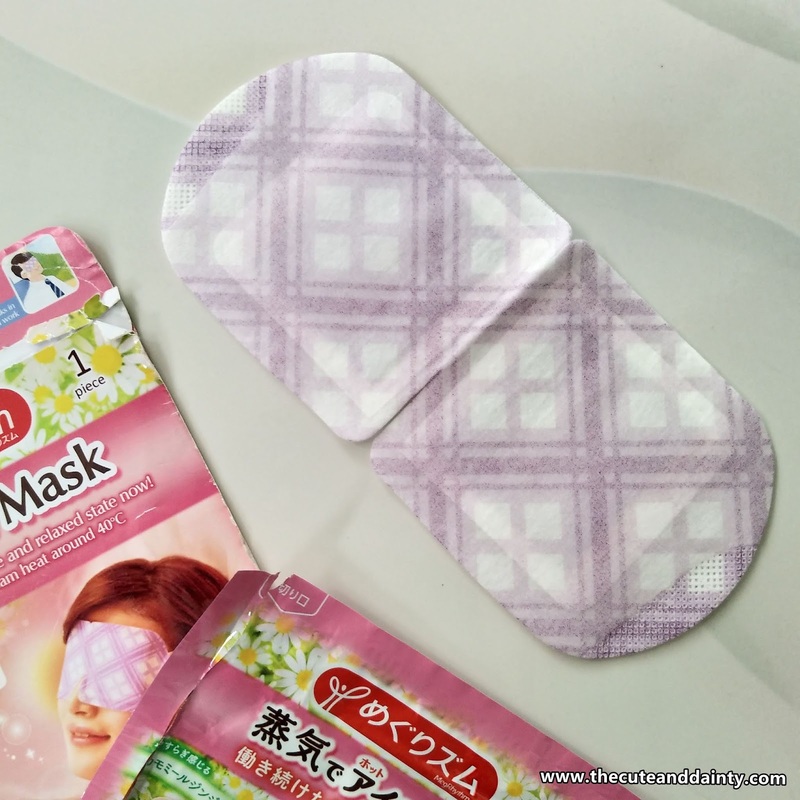 Or if there will be warmer mask, I would like to try that as well. But for this, I'll give it a pass.